Last week my friend on Facebook recommended me a book that I should read, so I went to my local bookstore and tried to find it. Unfortunately, they didn’t have the book that I was looking for, so I went to their online shop and bought my book there. The whole process got me thinking how gone are the days of a single channel shopping. We, as customers are using multiple channels and touchpoints before actually making a purchase, and what’s interesting is that often website or mobile phone are the first touchpoint of interaction with the brand. 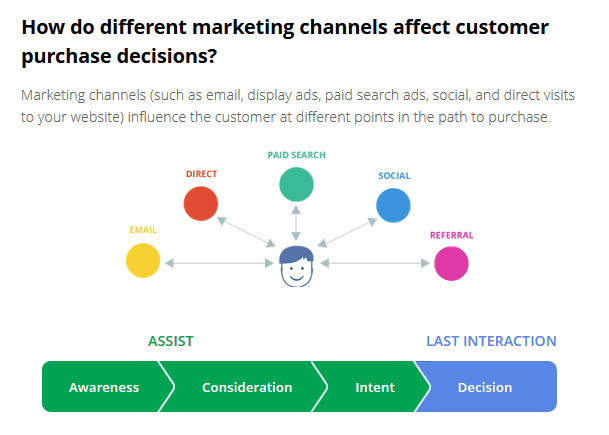 To help businesses understand this shift in consumer behavior, Google recently launched a great tool that shows how different channels play different roles in customer journey. Tool is made up from data from 36,000 Google Analytics accounts from 11 industries in 7 countries. You can start working with the Customer Journey to Online Purchase here.